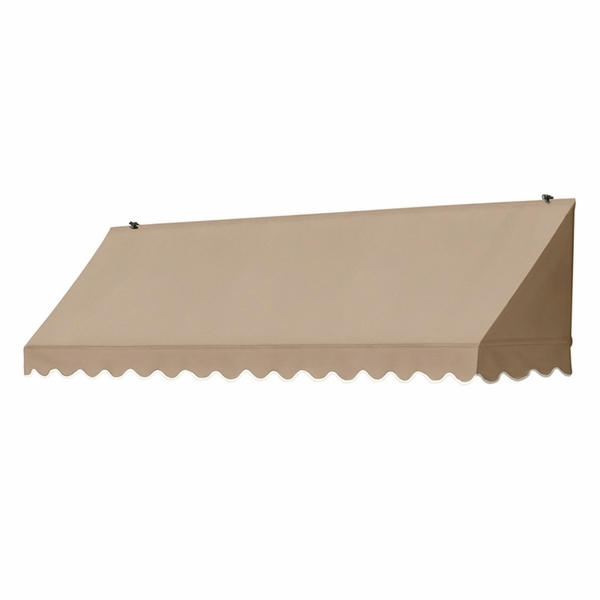 Beautify, protect, and enhance the function of your home with this 6' Traditional Door Canopy Awning from Sunsational. 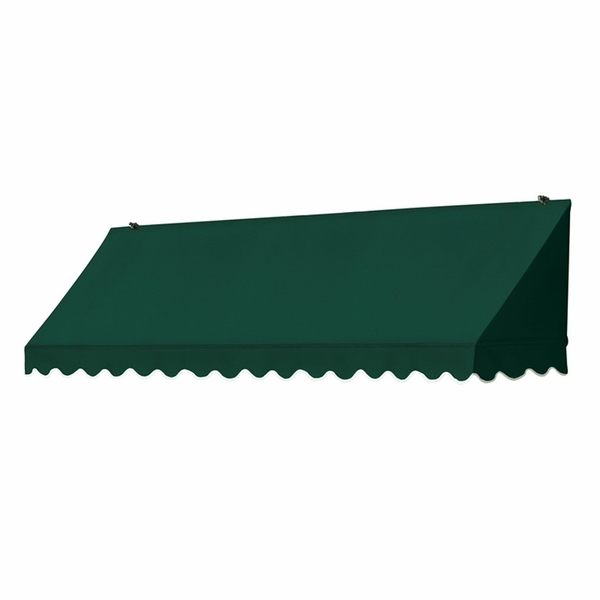 With a 1' drop and a 4' projection, this awning's constructed from Sunsational Select awning fabric, which is mildew resistant, UV and fade resistant, and easy to clean. It'll protect your entryway from heat, rain, and debris during inclement weather or while fumbling with your keys trying to get in. Block up to 77% of the sun's heat, protecting your skin from harmful UV rays. Thank you for your inquiry. 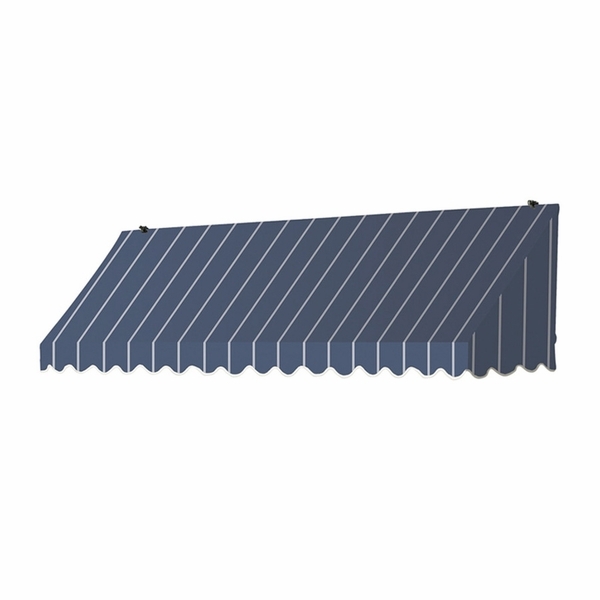 The 6-foot Width Traditional Door Canopy Awning in Tuxedo finish is a dark navy blue with a thin white pin stripe through the fabric. The other entry awnings could withstand 125 mph winds. What about the Sunsational? 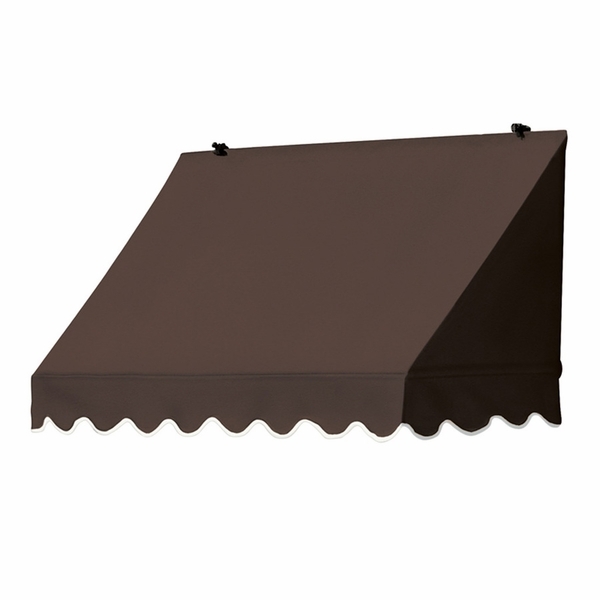 The Sunsational brand awnings do not have a wind rating. Are these door awnings good for all weather conditions? Can it be left down in inclement weather? Our door awnings are indeed designed to withstand moderate inclement weather. However, these awnings are meant to be installed and left up permanently. Does awning project out 48 inches? Can I use it for a door with 9 inches above door? It does project 48 inches. According to the manufacturer, you will have plenty of room above your door to install the awning. What is the difference between window awning 3020704 and door awning 3020904? The window awning as a 2 ft., 1 in. drop and a 2 ft., 1 in. projection and the door awning has a 1 ft. drop and a 4 ft. projection. I received the kit and was very impressed with the easy assembly and quality. It has a very reasonable price and is very attractive. I had an issue with the color that was shipped not matching the online color, but eCanopy customer service took my issue and ran with it. They worked with the distributor and corrected the issues simply and promptly. This company still understands what it takes to gain and maintain a customer. Thank you to the eCanopy team.